Sean Szymkowski March 13, 2019 Comment Now! 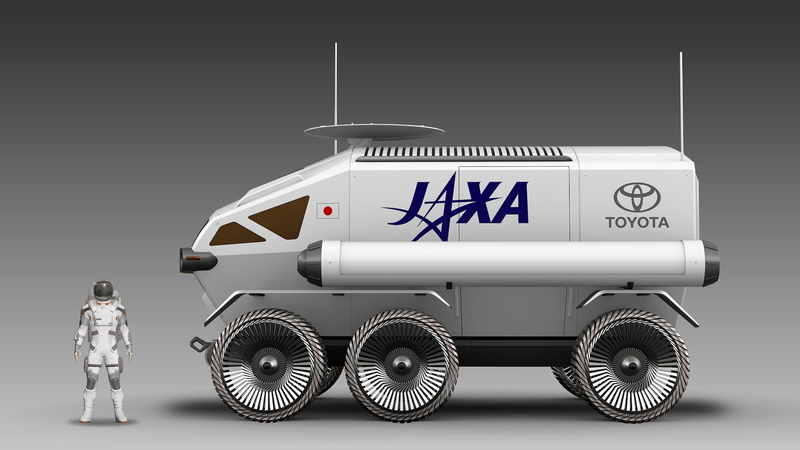 Toyota and the Japan Aerospace Exploration Agency (JAXA) have their sights set on sending humans back to the moon. The automaker and Japanese space agency announced an agreement to study the possibility of collaborating on international space exploration. 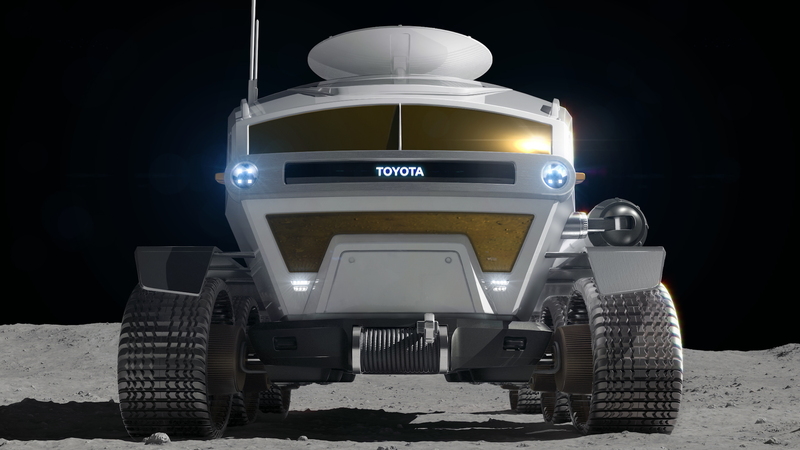 What Toyota brings to the agreement is its technology expertise, which it showcased with its lunar rover concept. The vehicle is about 20 feet long, 17 feet wide, and 12 feet tall with space for two astronauts in a fully pressured cabin. The max capacity is four in case of an emergency, Toyota said in its joint announcement with the agency on Tuesday. 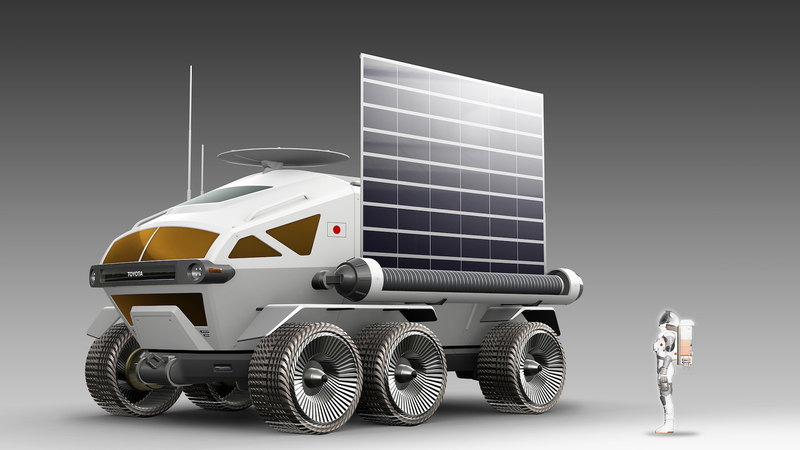 Powering the lunar rover are hydrogen fuel cells, technology Toyota has pursued in recent years. We've seen the automaker flirt with fuel cell-powered semi trucks via its Project Portal tests, and it has launched a hydrogen vehicle in select markets called the Mirai. 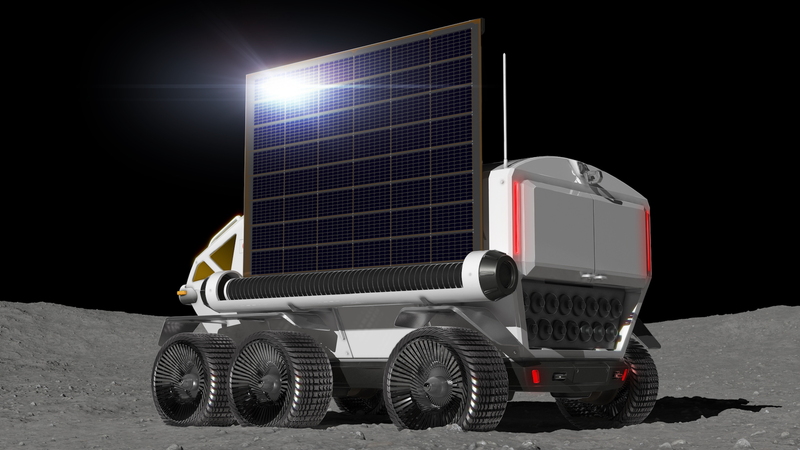 The automaker realizes only a limited amount of energy can be stored and taken to a moon landing, yet the company claims the lunar rover can would be able to travel more than 6,200 miles on the moon with its power source. Akio Toyoda, President of Toyota Motor Corporation, said the opportunity will not only create the change for Toyota to represent its home country, but build vehicles for its home planet. 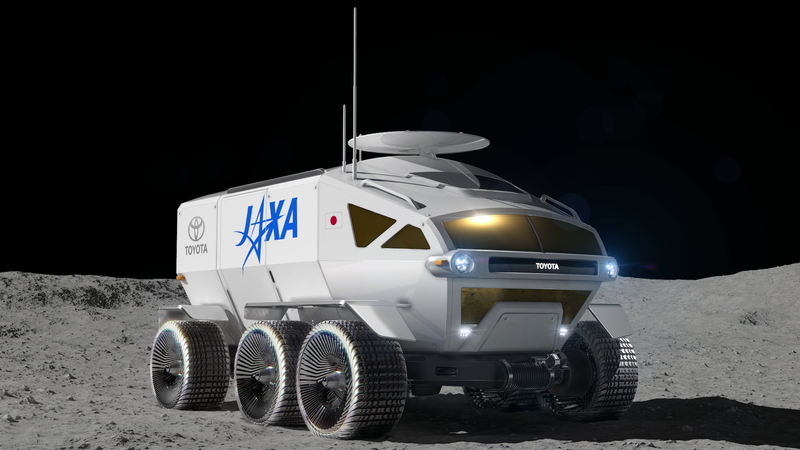 "Going beyond the frameworks of countries or regions, I believe that our industry, which is constantly thinking about the role it should fulfill, shares the same aspirations of international space exploration," Toyoda added. The new agreement is meant to showcase Japanese technological know-how. It's similar to how SpaceX has worked with NASA in the U.S. for expanded space exploration. JAXA President Hiroshi Yamakawa noted the project could also produce spin-off technologies. Safety is a major concern for Toyota, so the automaker will pay careful attention to details to ensure any human astronaut returns safely from the lunar rover, to the vessel, and back to Earth. JAXA anticipates it will be ready to send a lunar rover to the moon in 2029 with more manned missions planned throughout the 2030s.